We help Minnesota business owners find more affordable workers' compensation coverage. 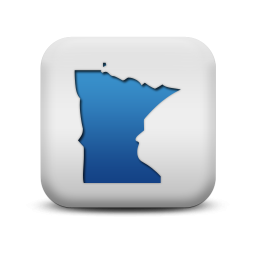 Learn about Workers Comp programs available in Minnesota. Find your state workers compensation rates and class codes for Minnesota. View and complete MN workers comp forms and applications. Find more information about Minnesota workers' compensation insurance. We've developed Pay As You Go worker compensation programs that reduce or eliminate premium deposits and allow Minnesota employers to report and pay premium based on actual payroll wages. Reduce your audit risk. With 35+ carriers to quote your work comp coverage, chances are we've got the lowest rates for your business. We can find the most complete coverage at the lowest rates for most MN industries. Ask about our exclusive programs. Find Your Best Price Today. Minnesota Rates Need Help With Minnesota Class Codes? Workers Comp Rates in Minnesota are competitive with the national averages and they have stayed fairly steady for the past five years. It is still crucial for businesses to shop their Workers Compensation Policy in order to find the most comprehensive coverage and the best rates in the industry. Call today to speak with one of our work comp experts today at 888-611-7467. Insurance rates vary significantly between NCCI classification codes. Let our Minnesota Workers Compensation Specialists help you determine your exact and best workers compensation class codes before you buy a policy. We'll help make sure your business is properly covered and that you find coverage at the very best price. We're a National Agency, and we have tons of carriers offering work comp in Minnesota. We have access to over 35 insurance companies with a diverse appetite and competitive rates. Our markets know we expect the lowest rates, bigger discounts, and more policy credits when we request a quote. Did you know that the cost of a workers comp policy in Minnesota can vary significantly between insurance company, underwriter, and insurance agency? In the state of Minnesota all employers are required to carry Workers' Compensation Insurance. Sole Proprietors, Partners and Corporate officers are excluded from coverage, but may elect to be included. LLC Members are automatically included in coverage, but they may elect to be excluded. LLC members have some exclusions for managers and members of their family. An Executive who owns 25% or more of stock of a closely held corporation is excluded if total hours of payroll is less than 22,880. They may elect to be covered. Other exclusions apply to Family Farm Operations, Casual Employees and household workers. For Sole Proprietors, Partners, Corporate Officers and LLC Members wishing to be included for coverage, they must be included at an annual wage of no less than $56,004 and no more than $224,016 (As of 1/1/2019). At Workers Compensation Shop.com we pride ourselves at servicing our customers the best. That is why we have worked hard to earn an A+ Rating from the Better Business Bureau. We want to be your go to source for work comp needs in the state of Minnesota. Give us a call today at 888-611-7467 or get started online. We've already helped thousands of Minnesota employers buy more affordable coverage for their business.